Since its first version, Photoshop has changed quite a lot. The functionalities it offers are greater now than ever before. But plugins are legion and for beginners it is hard to differentiate the ones that are truly useful and those that are just a waste of money. The Retouching Academy Beauty Panel has been around for a little while and was revamped very recently. I use it all the time when retouching but I get many questions about it. I am frequently asked if it is worth its price and if it makes my retouching any better. Here is my take on the panel, why I bought it, and above all, why I keep using it everyday. What Is the Beauty Retouch Panel? Let’s start by saying what the RA Beauty Retouch Panel is and what it is not. It seems like many people get confused about that. You have probably seen and heard of plugins such as Portraiture or Portrait Professional that will do the retouching for you… or at least they will try to do so, but it generally results in a cheap looking image with very poor retouching. The RA Beauty Retouch Panel is not that kind of plugin. The panel will not make creative decisions or do the work for you, it will be there to help you accelerate your workflow by creating the layers and adjustments you need for high-end retouching. What does this mean? If you need to create a frequency separation or dodge and burn layers, with the panel you only have to click on a button to create these layers instead of having to go through the whole process you would normally have to. Another advantage of the panel over having thousands of separated scripts is that everything is there on your screen, just one click away. One single panel to access the most common retouching methods and techniques — from dodge and burn to creating a new layer or making a selection based on luminosity values — everything is there. How Did It Change My Workflow? Photographers that see me using the panel often ask me if the panel improved my retouching. This is kind of a tricky question. 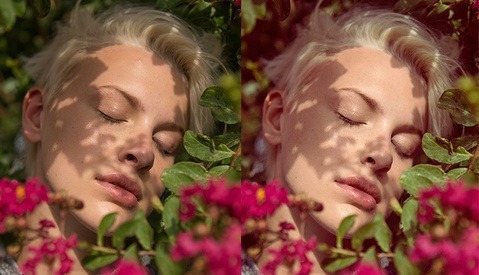 I do feel like it made my retouching better, and here is why and how. 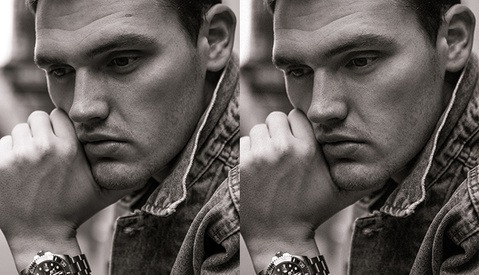 To me, retouching is about spending as little time as possible in front of my computer and getting the best result possible within that time. So yes, the panel definitely made me a better retoucher because I can retouch faster than before and in turn makes my time more profitable as I can edit more pictures within the same time. If you are wondering if the panel will make your images better, I think you should rethink what retouching is. Though it might help you get better results, as it will force you to stay organized, it will not teach you how to retouch nor will it do the retouching job for you. The panel’s functionalities will create layers for you. But unlike many of us, the panel is not lazy and will name the layers as well as put them into groups. 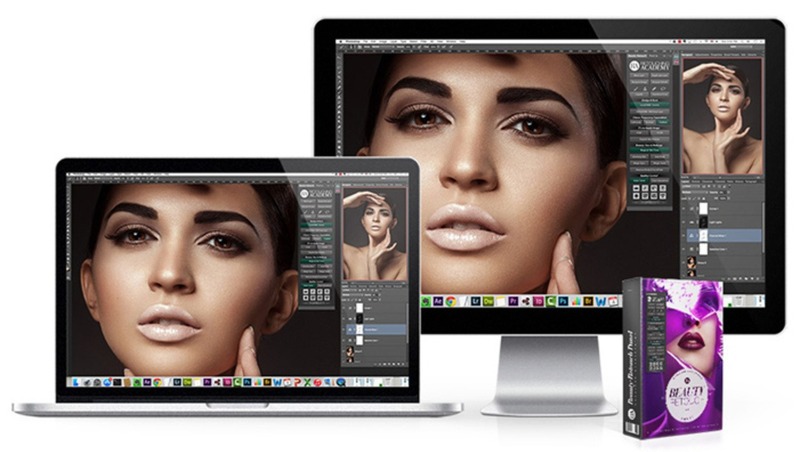 With a well-organized workflow, files and layers, it is much easier to produce great images. It will also help you stay organized because the panel is created in the way that most retouchers edit their files. Meaning you will find dodge and burn right below common tools, then comes the frequency separation, and finally functionalities for skin and makeup. At the bottom of the panel you can also find quality control features as well as the most used adjustment layers that could come in handy any time during your retouching. So did it make me a better retoucher? Well, yes, my files are more organized than before, and my workflow is quicker so I spend less time in front of my computer. Did it make my images look better? Somehow, I could say yes too because the panel helps me to be more structured in my workflow. By having a more consistent editing process, my images are getting better and more consistent too. Is the Beauty Retouch Panel Worth Its Price? Currently priced at $69, the panel is not very expensive. Most likely after one shoot it will already be paid for. If, like me, you hate going through processes that could be automated, the panel is made for you. If you are lazy, not well organized in your retouching, or are looking something that will help you speed up your retouching, you should definitely give the panel a try. The scripts seem to be really well optimized because they are quite fast to execute. Some scripts you find for free on the web are oftentimes buggy or slow. The graphical interface is well thought out. It does follow a logical pattern for retouching images and thus makes retouching easier and more consistent. The price is more than affordable at $69. The installation is very easy and the panel fits well in the Photoshop interface. A 14-day trial version would be appreciated by many people. I would love to see a method to sharpen images where the user can customize the amount of sharpening differently than just by adjusting the opacity of a layer. Something like Michael Woloszynowicz demonstrated in this video using surface blur and apply image. The panel includes a way to sharpen images and add texture, but there is no quick way to even out skin texture. Woloszynowicz also created another video about this common problem and his technique does the job quite well. I do not think this kind of method is suited for beauty retouching, so I am not sure we would ever see this being included in the panel. However for larger crops or very simple portraits, it works beautifully. A button to access personal custom scripts for those of us that are Photoshop geeks would be really nice. This way we could use scripts that the RA team might not see as useful for most people, but that might be crucial to our workflow. When I first discovered it, I was not all that convinced about it. I thought it was pricey for what it did. But looking back now and seeing how much faster I can retouch an image using the panel makes it worth the money spent. No more fumbling around with actions and scripts from 20 different sources I found somewhere, somehow on the Internet. The panel gives me the tools I need to retouch my images quickly and efficiently, all in one single place, and it does the job it is meant for amazingly well. If you are looking for Instagram-like vintage filters or added grain functionalities, this plugin is not made for you. But if you want to speed up your retouching, concentrate only on your work and not on details such as the offset or scale needed for a frequency separation in 8-bit, then this is a must have. For more information about the Retouching Academy Beauty Retouch Panel, head over to their website. Been interested in this panel for a while, so this was a good post about what it is and isn't . I have some other script panels, but they're not as well thought out. I love using these panels..Just wish there were more tutorials on using some of the features..The magic skin tone being one of them.Still not sure how to use that feature. Hi Chris, thank you for your kind words! Please check the Video Tutorials which are available to the official users on the website - there's a tutorial on the Magic Skin Tone script. We're planning to do more though, so hopefully that will be helpful! Thank you so much for your wonderful review, Quentin! We invested a lot of time and effort into making these panels super helpful, and it's great to see that we succeeded! am trying to install the free PIXEL JUGGLER but not succeed. I have the last Extension manager. It tells me "Invalid signature". 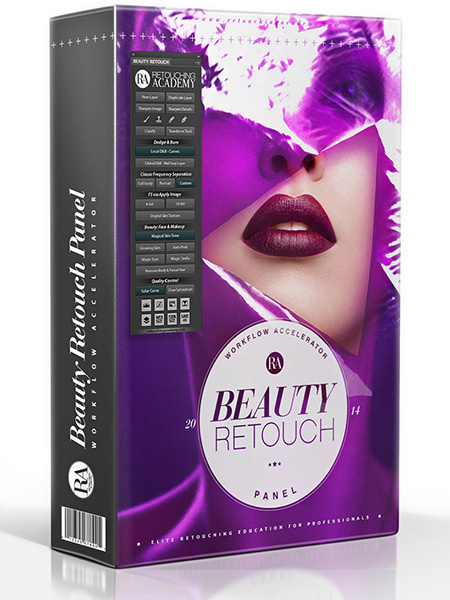 I really want to buy the BEAUTY RETOUCH PANEL, but i want to be sure i will be able to install it. I usually enjoy your articles but this time shame on you! Not sure I follow what you are saying… Shame on me for writing a positive review on a product that helps my everyday worklfow/work? I knew writing this article I would get people thinking that this would be some kind of an ad, but it truly is not! I wish the RA team would have paid me for writing this, but I actually bought the panel a few months back. I also wish I could have said more bad things about it, but to me it does the job it is meant to do and it does it really well. In fact I find this panel so useful that I created my very own, quite similar to the RA panel, because I teach retouching in French as well and the RA exists only in English… To me this panel is a must have for retouchers (and photographers that do their retouching), which is why I wrote an article/review about it. It's just that lately I noticed that Fstoppers writers seemed to write a lot of reviews for products and workshops created by other fstoppers writers which is why it looks like you guys are writing disguised ads for each other. Maybe I am just being paranoid but it feels like 50% of what you guys post these days are these "positive reviews". It's a natural byproduct of having top-tier photographers writing for the site, who also create top-tier content for public use. That gives other writers greater access to their products for reviews like this. Alice - While I understand where you're coming from.. look at it objectively. Even if it is a promotion, it's still a valuable article. They go over what the software does as well as the pluses and minuses of the software. I had never heard of this before. it's great to know about stuff that could improve your workflow. Even if you suspect that is an ad or promotion, just take it with a grain of salt and review it yourself. Check ratings from other users or look at reviews from BH, Amazon, etc. Still, I think there is a conflict of interests, they should have external reviewers test their products instead of testing each other's. Alice, why is this any different to you than when they review a lens or camera body or any such new product, or product that we might use a lot? Ads are labeled as sponsored posts. I purchased this panel on day one and use it religiously. Julia and team did a fantastic job on it. I have a hard time learning new methods so I still haven't been able to use it to its fullest potential but I love what I am able to do with it so far. Giving a trial version to an extension manager package would be useless. A friend had this and I was able to play around with it. Aside form the sharpening issues I had (as stated in the article) I found the eye whitening to be pretty bad as well. Seems like it just blurs it out and doesn't leave any detail/grain in the whites of the eyes. I prefer to do that in a different way. Other than that, it looks really awesome. Thanks! !